The millennial generation cares just as much about their legacy and impact on the world as they do about accolades on their individual resumes. The spirit of giving, volunteering, donating, and investing in others is especially strong among millennials during the holiday season. The Millennial Impact Report, sponsored by the Case Foundation, states that 84% of millennials made charitable donations in 2014 – and 30% of those made their donation via an online giving platform. 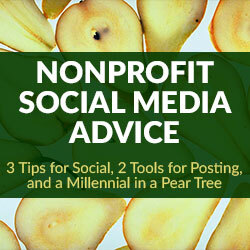 Are you thinking through new and innovative ways to reach the millennial generation? 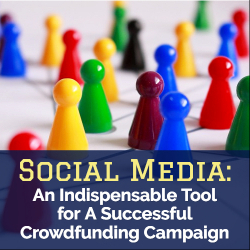 Optimistically, nonprofits have a digital strategy in place that uses the right channels to make it easy for millennial donors to interact while also being practical to maintain internally. As the end of the year approaches, however, consider a few additional easy-to-implement tips that could further raise awareness and boost donations, especially among the eager-to-participate millennial demographic. How Many Messages for Good? About a Billion. Take every digital communications channel you know, your supporters use, and the world recognizes. What is the common denominator? Texting. SMS integration into your digital strategy is important, and there are an abundance of text-to-give platforms. Fairly new to the scene is a company called Twilio, a Silicon Valley cloud communications company creating software that makes reaching distinct audiences via text message simple. For example, the American Red Cross implemented Twilio SMS communication capabilities to rally geographic-specific volunteers via text messaging – a technology everyone uses and understands. At Dreamforce 2015, Twilio pledged to set aside 1% of its current equity to fund their charity arm, Twilio.org, expanding their commitment to philanthropy and setting more nonprofits up for targeted communications success. Their corresponding campaign ‘A Billion Messages for Good’ echoes that commitment and furthers the impact of social good. 501c(3) nonprofits are eligible to apply to receive $500 of kickstart credits, and a 25% discount on SMS (text) messaging, voice calls, client calls and recording. Not a coder? No problem. Twilio has support materials to help you along the way, including non-coder guides to walk non-programmers through the SMS message setup process step-by-step. Instagram is red-hot right now, having grown a community of 400 million users in just under 5 years. Business Intelligence recently reported that Instagram is more important (in terms of prestige) among young people than Facebook or Twitter. What Instagram possesses as a powerful visual storytelling tool, however, it lacks as a donation platform – because of the inability to add donation links directly to photos or in the comment fields. To overcome this, put a donation link in your Instagram profile with a mention of the link in individual photo captions. In addition, nonprofits may consider accompanying storytelling on Instagram with sponsored content (ie: an advertisement) to further their reach and drive people to invest in their cause. Instagram’s self-serve ad platform is perfectly simple to use, and you pay only for results. You have the ability to target individuals based on the content they like, comment on, view, etc. This means a local animal shelter can directly target Instagram users who share pet adoption stories or engage with various animal rescue content. Additionally, Instagram offers the choice of various calls-to-action. Instead of a headline like “Shop Now,” nonprofits can select “Learn More,” making their relationship with a potential donor more authentic and emotive. Video content can be especially powerful for nonprofits, allowing up to 30 seconds of visual storytelling. 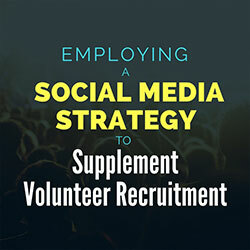 If a nonprofit is crafty enough in its targeting, messaging, and execution, you will see dividends from the investment in sponsored content. 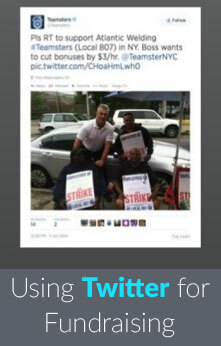 Recently founded Washington, DC startup GoodWorld is changing the donation landscape on Twitter and Facebook. GoodWorld has made donating an instant, easy experience that can be shared to inspire action from others. How does it work? Sign up your nonprofit organization through GoodWorld, whose technology will then scan your Twitter and Facebook pages for the phrase “#donate.” Then instruct your donors to simply write “#donate” on any Facebook post or Tweet with your nonprofit tagged in the post. 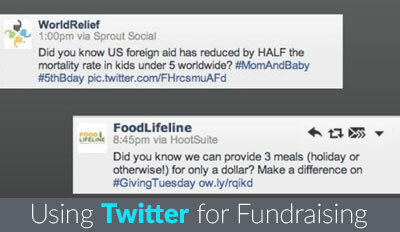 This hashtag triggers an email directly to the interested donor with a personalized link to complete the donation. The act of using #donate not only secures instant dollar donations but also spreads your organization’s message to the reach of that donor’s social following. You’re using donors as your brand ambassadors, making your job as a communications professional easier than ever. 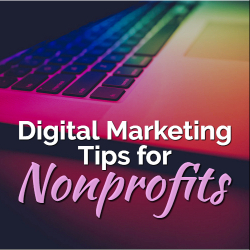 This is simply a sprinkling of new trends and ideas to think through as end-of-year add-ons to your nonprofit’s already existing digital strategy. Or maybe they spark thoughts to fully incorporate into your 2016 digital strategy. Inevitably trends shift, making room for better technology to emerge every day. Your digital roadmap will make the shifting journey easier to navigate, and put you in control of having the most impact on your audiences. While good storytelling is the baseline attribute of quality non-profit marketing, it’s important to remember that good storytelling doesn’t occur in a vacuum. When you use your story to draw in more constituents and donors, you’re only taking the first step. Beyond that, you need to refine your storytelling efforts through careful tracking that allows you to iterate and improve your current approach. 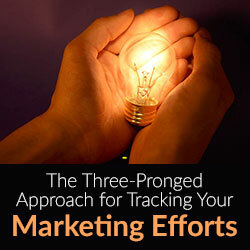 But how do you determine what’s worth tracking, and how should you go about tracking it? Every non-profit digital marketing campaign needs to implement metrics if they’re to measure and refine their approach. Whether it involves search results, email marketing or social media, there are many areas that allow organizations to gain insights into their efforts—provided they know how to read the signs. But first things first—before you’ve determined your marketing performance indicators, the first order of business is to map out your game plan. For this, it helps to look at your marketing goals on a macro and micro level. From a wide perspective, you should determine a few overarching marketing goals that you’d like to accomplish over the course of a year. Whether this involves increasing donor retention rates, cultivating partnerships with other organizations, or expanding your volunteer base, it’s important to put your foot down on specific, achievable milestones so that you can measure your success and make future improvements. From here, you’ll need to take a closer look at your goals and then determine the specifics of how you’ll be measuring their success. This is a two-part process, which requires both the right metrics, as well as the right tools to measure them. These vary based on where the tracking is taking place, and below we’ll cover three approaches: Social, Email, and Search. When it comes to nonprofit metrics, the website is your prime domain, and the one you’ll want to be keeping closest track of. By keeping tabs on the details of your search traffic, you’ll be able to find out more about your website and learn whether your efforts are working in other areas as well, including those in the Social sphere. From referrers, to poorly-performing pages, user location and user habits, search analytics tools allow you to take a deep dive into how people are interfacing with your organization. Google Analytics is the be-all end-all of search analytics tools, but the struggle comes in using it effectively. The brunt of this work is done in the planning process we discussed earlier: While Analytics will provide you with a wealth of information, the best thing you can do is find the statistics that are most relevant to your goals, and try to improve those accordingly. 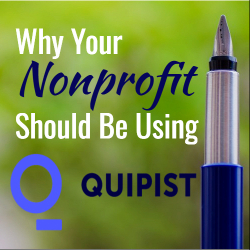 Luckily, Google offers discounts for nonprofit users – something that can prove very handy for any organization. Because non-profit organizations have such enticing stories to offer their audiences, follower numbers, page “Likes” and +1’s can be satisfying to track. But keep in mind that social benchmarks can often be deceitful, as followers don’t necessarily equate to increased conversions, and vice versa. We suggest tracking social metrics on less of an independent basis, instead working to determine how your social efforts are affecting your other efforts. However, it’s still very important to get a baseline idea of your audience’s social participation, and always worth it to try and grow these efforts. When it comes to social tracking tools, try free options like Facebook Insights and Twitter Analytics. Offering engagement numbers, reach statistics, and information about visits, these integrated tracking tools allow you to learn more about your audience, as well as how they’re deciding to engage with your content. For a more in-depth approach, try implementing tools like Radian6 or Sysomos. While these solutions will cost you more than the free options of Facebook Insights and Twitter Analytics, they act as more generalized tools for developing a social intelligence around your organization. We recommend these for larger nonprofits who need to be able to view all aspects of their constituency’s social involvement. 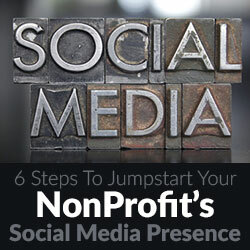 Email is one of the most effective ways that nonprofits can reach out to their constituencies. Compared with other methods, it’s quick, it’s inexpensive, and it yields a high return on investment. One of email’s other big strengths is that it’s easy to make adjustments in comparison to, say, a website. Most of the tools you’ll use for tracking email will come built-in with your existing software. Most Constituent Relationship Management platforms like Salesforce, Zoho, and Raiser’s Edge, for instance, all have integrated email tracking options. However, you may also opt for a different service to send and track emails, like MailChimp, Constant Contact or iContact. These tools will all help you to keep track of all your email tracking needs, resulting in better a more guided overall effort. More than ever, nonprofits are battling for the attention of not only those they service, but also from donors, foundations, business and civic leaders, members and volunteers. It is important for a nonprofit to frequently communicate with its constituency to maintain top-of-mind awareness before those who are essential to its success. A nonprofit is tasked with doing “good work”; at the same time, it also must generate the revenue necessary to fund its mission. 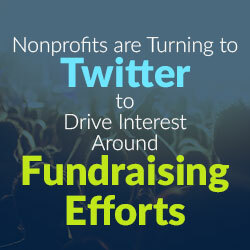 And fundraising requires a clear, targeted and ongoing marketing campaign. 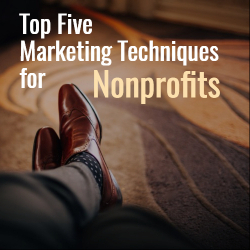 There are many inexpensive marketing tools that are available to help a nonprofit communicate more effectively, but they do require knowledge and effort to be effective. Rethink direct mail: Even at the nonprofit discount rate, nonprofits spend small fortunes on direct mail. An affordable and effective alternative is email. There are numerous web-based software programs – My Emma and Constant Contact to name two – that can assist both small and large organizations with database management and message dissemination. What’s great about some of these programs is that your message avoids the pitfall of getting relegated to “junk” or “spam” mail. It also will self-maintain your recipient list by deleting addresses that no longer exist or of those who wish to be deleted. Lastly, the intelligence it provides regarding which recipients opened the email and what they read, is valuable information. Traditional media is alive and well and loves a good story: A few years ago, the mantra was “the media is dead.” The reality is that most communities are serviced by at least one major daily newspaper as well as weekly newspapers; two to four local television networks; radio talk shows; city magazines; ethnic media outlets; and local online websites. Nonprofits need to form meaningful relationships with the media who are generating content 365 days a year and looking for good stories. Nonprofits have good stories to tell. Learn how to be good storyteller: describe what you do and who you service in a one-page “pitch” letter; send it to your local columnists and television and radio talk show hosts; and ask for an informal meeting. You’ll be surprised by the results. Optimize your website: Too many nonprofits abide by the slogan, “if you build it they will come” when it comes to their websites. A good website is necessary, but unfortunately doesn’t always reach your audience as they are not going to visit frequently. To drive new traffic to your site, search engine optimization (SEO) utilization must be employed so people can find your site in the first place. To increase repeat visits, content needs frequent refreshing. It should be easy for visitors to contact you and the website should compel visitors to enter their emails. 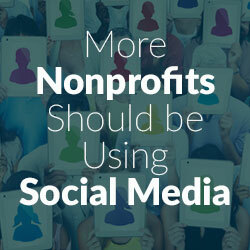 Social media icons should be displayed prominently to make it easy for viewers to “like” your nonprofit and engage in dialogue. One caveat: many nonprofits build large databases of Facebook “friends.” Realize that that having 5,000 friends doesn’t mean all 5,000 will see your message posts, just a percentage. Advertising may be required to increase message dissemination on Facebook. Frequency, frequency, frequency: If your media outreach efforts result in an article, radio or television spot, don’t stop there. Display the placement on your website and social media and attach it to an email to your targeted audience. Also, remember there is a world of media and one good feature does not a media campaign make. Maintain a presence; frequency is the name of the game. The same is true of websites – they should not be static “electronic brochures.” A website can be an interactive go-to source of information for viewers if it is frequently updated with fresh and relevant content. Virtual is not always best: We have some wonderful tools at our fingertips today to make things easier and more cost-efficient, but keep in mind that for nonprofits, nothing beats face-to-face contact. Nonprofits are generally in the human services business and in-person meetings can go a long way to forming or strengthening connections. Arrange small luncheons and walking tours with members, donors, and civic and business leaders. Events where you make personal contact with your supporters are immensely important.